If you are ready to be a super spy like James Bond or a great detective like Sherlock Holmes; here is some information on how you can start your very own spy club. You need to pick a secretive name that is both mysterious and exciting such as Q-Tπ Agency ( as in cutie pie) or you could go for something like Intel B Agency (as in intelligent boys) etc. This has to be a very secretive place where nobody can disturb you and the other spies; certainly not mom or dad. So, a bedroom with a sign that says "Do Not Disturb" or "Enter at Your Own Risk" should do. You could also use the tree house (my favorite!). Another option is to have your spy meetings in the basement or the attic. You can also choose a secluded spot outdoors but then you will need to find a secure place to store your spy documents. Spy meetings should be held regularly; you can only be a good spy if your team members keep giving you fresh information. Get everything ready for your spy meeting; you will need paper and pencil to take notes and some food to munch on. After all a hungry spy is simply no good, milk and cookies or some pizza will be perfect. "I (name of new member) declare that I am from this day forward a loyal member of the (name of your club). I swear that I will not give out the secrets of my club not even to my best friends except for a member of the club but I can discuss secrets with my pets in my bedroom. I also promise that I will never hide information from my club members, so help me God". You will need a sign with the name of your club on it (can be made easily with some color pencils and construction paper). Now, the new member has to kneel in front of the club sign, keep his right hand on his heart and take the oath of secrecy. You will need to make sure that you have all the gadgets that you will need to be top spy. You can buy these in a spy kit or singularly. Make sure that you have binoculars, a small writing pad and pen, a small recorder and even inexpensive cameras that are tiny; you will also need night goggles. Now, you can ask your parents to get you this equipment or ask all the members in your club to pitch in from their allowances to buy these cool spy gadgets. You can also make some at home; here are some easy but mysterious and secretive spy crafts that you can use. You will need this to send top secret messages to your club members like the time of your next meeting or information about a spy mission. Invisible ink is a good way to keep messages undetected. Messages can also be written using a cipher or a secret language. You can use this Cipher Wheel, or use one of these codes and ciphers. A spy who still has all his marbles, this is a nifty way to check if a room is safe to enter secretly. 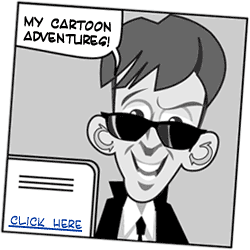 So, if you are all set to be a super spy, use these tips to form your very own spy club and get ready to do spy missions, or solve all the mysteries around your neighborhood.